Want To Be A Pro Wrestler? Attend A Wrestling Seminar! If you’re interested in learning how to become a pro wrestler, referee, manager, announcer, commentator, or work in the wrestling industry in any capacity, I highly recommend attending a wrestling camp/seminar. In fact, I would strongly suggest you attend more than one, as many as your schedule and budget allow. They are THAT good, completely and totally worth your time and money. 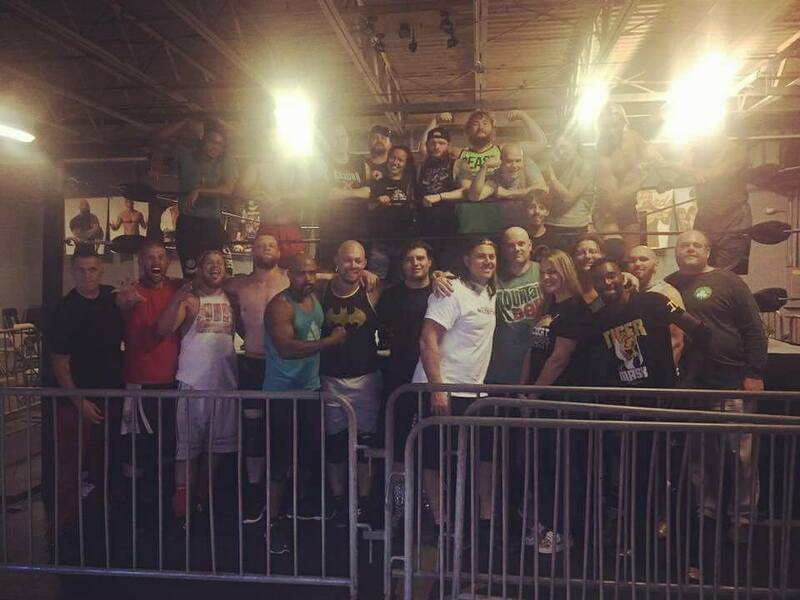 When you attend a pro wrestling camp/seminar, here’s what you get for your money: professional training by multiple well established trainers in the business in an actual wrestling facility; these people have all been in the wrestling business for years, many of them have worked in WWE, NXT, ROH, NJPW and many more successful, reputable wrestling companies. You get to learn from some of the best in the business, not only how to wrestle and/or advance your current skill set, but how to get booked on shows, how to develop your character/gimmick, the psychology behind wrestling, how to cut a promo, build confidence, communication, social media skills, networking with other promotions & talent, etc. I’ve worked on three seminars in the past six months (Hangs With Bob Gets Better Super Camp, Capitol Wrestling Seminar & Tryout Camp and World Famous Monster Factory Super Camp), and you cannot put a price tag on the friendships, camaraderie and networking that organically has taken place by the end of each camp. You can ‘follow’, ‘friend’, ‘add’ as many people on Facebook, Instagram and Twitter as you want, and yes that’s helpful and certainly encouraged, but nothing can take the place of a human connection. You will make friends, you will form bonds, and you will network with more people than ever thought possible, and in my opinion, that alone is worth the price of the seminar/camp. Of course you get so much more than that though, and I’ve not once heard anyone from any of the seminars I’ve worked on say that they were unsatisfied and didn’t feel like they got their money’s worth. These camps are created for all skill and talent levels by people who want to share their expertise, journey, and experiences with you, take advantage of that, soak it all in! So, how do I know all of this and what part do I play? I’ve been working in the broadcasting industry for the past 14 years as an On Air Personality and also as an instructor, teaching radio at the Connecticut School of Broadcasting. I’ve hosted countless events, performed on stage, and hosted radio shows in every day part from small town radio to where I am currently, major market radio in Boston, MA. I bring that knowledge and experience with me into the wrestling world as a ring announcer, host, and communication/promo coach at seminars. Maybe you’re wondering what radio has to do with wrestling? Here’s the thing, communication is communication across the board, no matter how you look at it. My job as a performer is to entertain, whether it’s a radio audience, a wrestling audience or anything in between, it doesn’t matter. Once you learn how to communicate, you can communicate with anyone, the skills are all the same and can be applied in any situation. There’s many aspects of a wrestling promo that are similar to an on air radio break. In both instances, you’re trying to capture the attention of your audience, make them feel something and entertain them. See? Very similar. In addition to teaching promo classes and communication skills at these wrestling camps and seminars, I too have made friends, networked, gained knowledge, confidence and experience. I leave each camp learning so much from everyone, teachers and students alike, every single person has something to bring to the table! Plus, I have these seminars, the people who run them and the people who attend, to thank for some of the amazing opportunities I have had in wrestling! I wouldn’t be where I am today without all of you! If you want to better yourself, learn, grow, network, succeed in the wrestling world, I highly recommend a wrestling camp/seminar. Yes, they cost money, but you are investing in yourself! Aren’t you worth it?